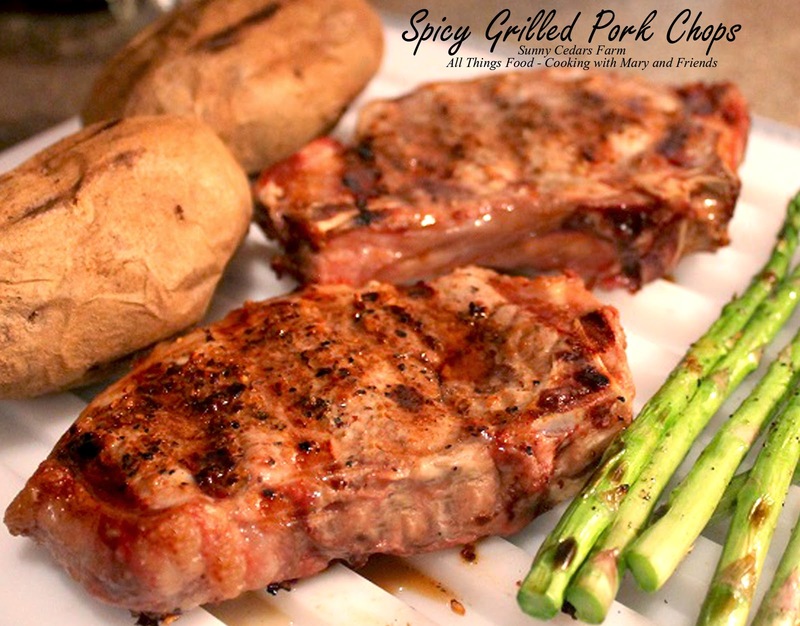 These 1" thick center-cut pork chops from our friends at Sunny Cedars Farm have quickly become our all-time favorite cut of pork! Juicy, moist, tender and delicious. By far our most favorite way to prepare them is to grill them! "Pork is now marketed as “the other white meat,” because that’s what you get in the grocery store – a nondescript, flavorless white meat that has to be brined or marinated to give it any flavor. At Sunny Cedars, we know how pork is supposed to be — dark rosy pink, perfectly marbled, rich and juicy, and bursting with flavor!" McCormick's Grill-Mates Cowboy Rub (Cowboy Rub is a robust blend with coarsely ground peppers, mustard seed and coffee which gives meat a bold and flavorful crust that seals in natural juices). Liberally sprinkle pork on both sides with McCormick's Grill-Mates Cowboy Rub, using your fingers to rub it into the meat. Place pork chops on a cooling rack and let come to room temperature, approx. 30 minutes. Preheat the grill to 350 and using direct-medium heat grill 5-7 minutes per side or until internal temperature is 145 for medium-rare. 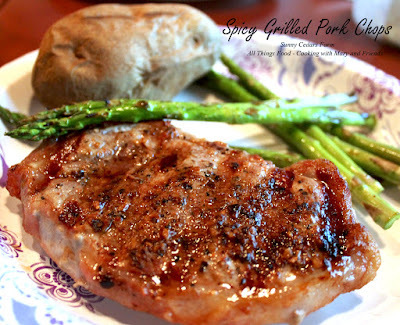 Remove from grill and let rest 5 minutes before serving (the total cooking time is dependent on thickness of chops). Serve with Baked Potatoes and Grilled Asparagus (oil asparagus lightly and toss with McCormick's Grill-Mates Cowboy Rub and toss on the grill about 5 minutes before the pork is done).